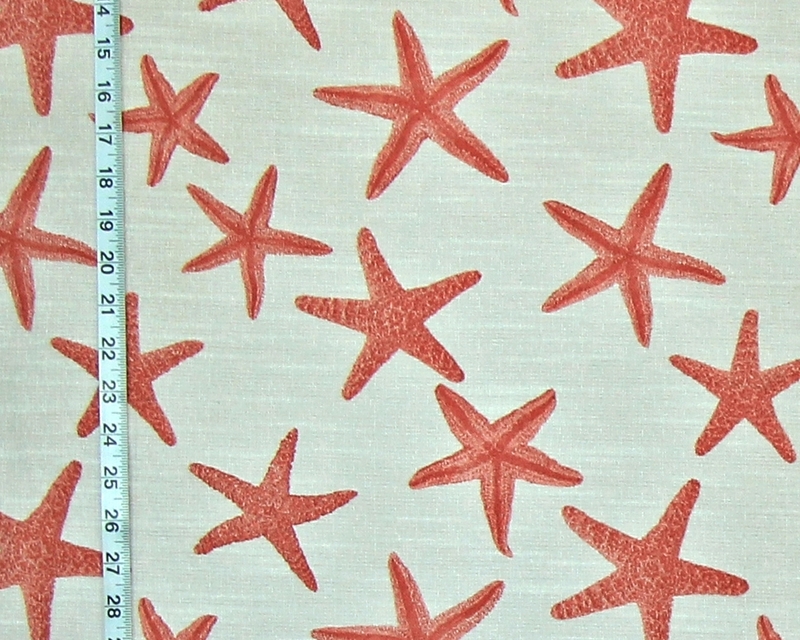 Orange Starfish Fabric, Teal Starfish Fabric- NEW! 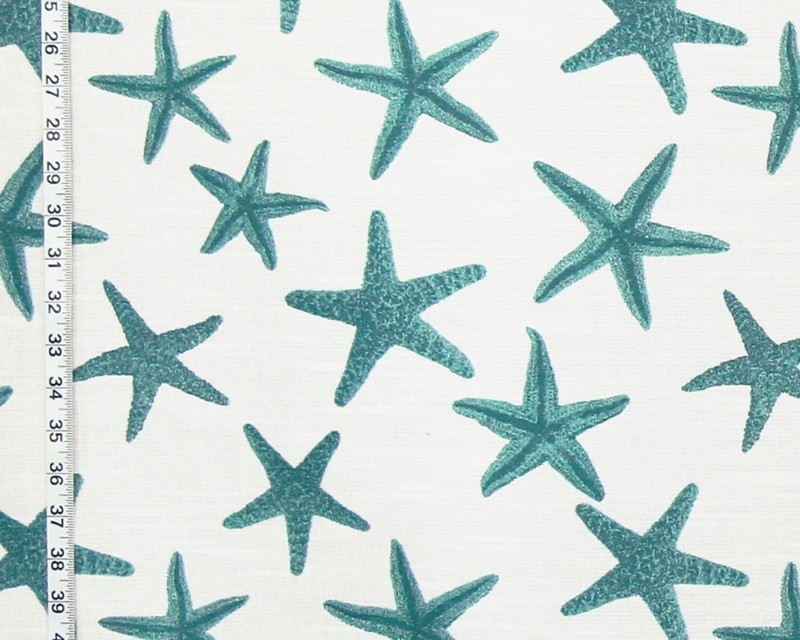 a teal starfish fabric are the first new fabrics for 2018! 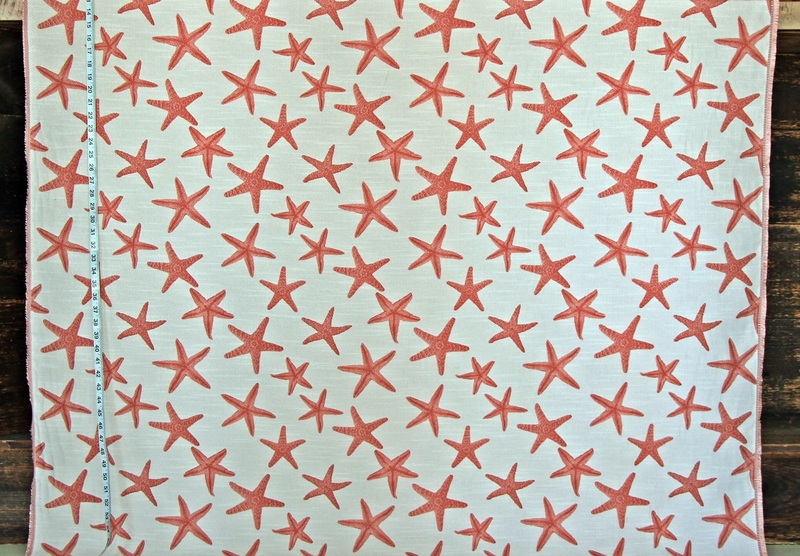 The starfish, or sea stars, seem to be dancing on this fabric. on a slubbed white background. Because of the interweaving of the threads, the background has pinkish tone to it. 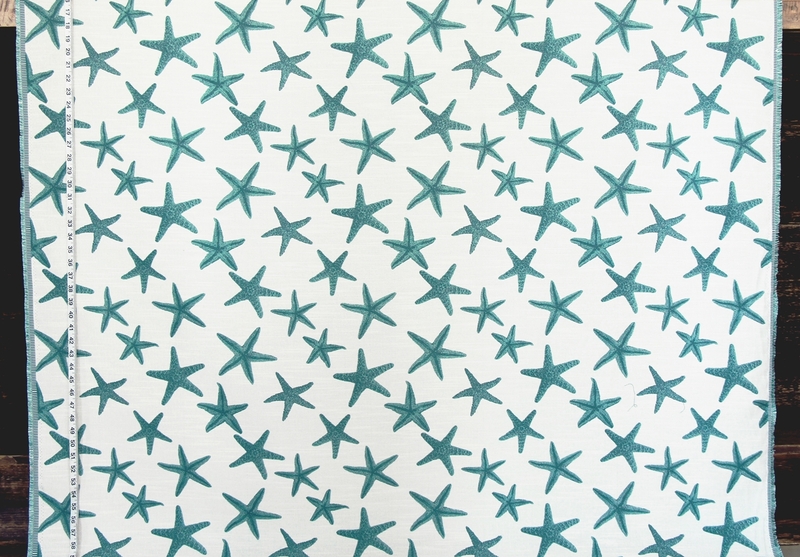 These really do look like stars from the sea! 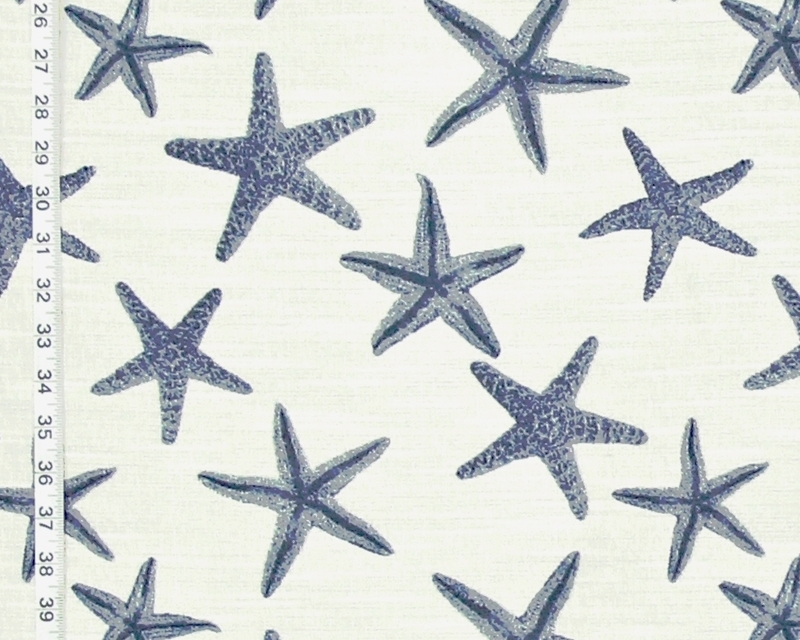 it is a blue colorway.